Revisiting words I first wrote in 2005, and adding new thoughts for today here in 2018. Do you believe in G”d? Have your ever doubted G”d? Have your ever doubted G”d's existence? Have you ever asked yourself "Why should I believe in G”d?" Both for myself, and also in my role as a Jewish educator, I am always seeking out thoughtful and useful responses to the kinds of questions noted above. All too often, even when I answer such questions with reasonable responses, I still have this gut feeling that I am only using clichés, offering pabulum. Sometimes I wonder if it might be better if I did not respond at all-though I am never truly able to convince myself that this is the wisest choice. Leave a student's "why should I believe in G”d?" question without a response, even if it is just a clever finessing of the situation, or a simple "I don't know do you?" and perhaps you leave them with the idea that their question is not worth answering. Sometimes my answer (to myself or others) can be as simple as "because G”d is." Sometimes it can be a much more complex formula. Sometimes it can be nuanced. Sometimes it can be heretical. Sometimes it can even be “I’m not sure if I do believe, or what I believe about G”d.” They run the gamut. Then there are all those things that G”d is said to have done in the Torah that make me question G”d, that make me ask “why would G”d do that?” Those of you who know me already know that I don’t find “the ineffable G”d” an acceptable answer. I don’t go for biblical or religious apologetics in any form. Most of the time. Like any potentially hypocritical human being I sometimes engage in my own whitewash or apologetics, or accept those offered by others. I can be weak. As I have stated often, I believe that if we are b’tzelem El”him, in the image of G”d, then,. perforce. G”d is b’tzelem anashim – we find in ourselves and in G”d all those good and bad traits of which we are both capable. Hmmm. Maybe there's a reason to believe in G”d, I thought. Going back and re-reading these thoughts from 2005, I find myself wondering why I thought that might be a good thing. Why would I be happy that G”d would be at perpetual war with Amalek? Doubter that I am, and willing to argue with myself, I read on seeing if the me of 2005 could convince the me of 2018. Amalek represents the worst of the worst. An enemy that would attack the weak and the lame, the children. By extrapolation, an figure representing evil, immoral leaders for countless generations to come – and in particular, those who would set themselves against the Jewish people. Some rabbis teach us that Amalek represents evil without cause, as opposed to evil brought on by thoughts of revenge, hatred, anger, etc. At first I thought "how can there be such evil?" Even the most barbarous of villains seemed to claim a purpose behind their actions. And in our contemporary culture, we seem prone to explaining evil as resulting from some trauma or underlying cause or event in someone's life. Those who are abused often abuse others. Some chemical imbalance may be at the root of someone's anti-social behavior. Though I've never read any, I am sure there are plenty of analyses of why Hitler turned into Hitler. I am sure that there truly is unexplainable, unjustifiable evil in this world. I think. The problem is, I believe we are helpless to do anything about it. Oh, we band together and fight great wars to wipe out this kind of unrepentant, purposeless evil, and we seem to have success. Somehow, though, that kind of evil eventually resurfaces yet again. Our own history as a people is clear evidence of this. I fear it is happening again here and now in 2018 – though I need convincing that we are truly helpless to fight that unjustifiable evil, and need G”d to help us understand why we can succeed at it. It is our role, our obligation, to be G”d's partner. That G”d will be at war with Amalek throughout the ages is a clue that we are going to have to partner with G”d for all time in this war against Amalek. We cannot do it alone. We cannot completely wipe out the evil from our midst on our own. We need G”d's help, and G”d needs our help. “Yessiree, that's a great reason to believe,” I wrote in 2005. It’s January 2018 now, and we have endured a year under the present administration, and all that it represents. It is difficult for me to not think of it as evil. I see signs that we are struggling to fight it and defeat it, though as much as I see these encouraging signs, I fear I also see signs of continuing normalization, of acceptance of the evil. I, and many others, I think, are growing weary. Our passion is strong, but the fight is draining, as it requires such continual effort. Yes, I have turned to my faith, my understanding of G”d to seek strength, and to pray for assistance in whatever way it might come through Divine provenance (even with all my doubts about G”d being active in such things. So yes, in that sense, I have some reasons to believe. Everywhere we see senseless hatred or violence, we find Amalek. When nations war for reasons that are unclear, we see Amalek. when people kill for no reason, we see Amalek. Perhaps even in the childish innocence of a young boy squishing a bug, or frying ants with a magnifying glass, we see Amalek. Perhaps in casual toying with nuclear annihilation we see Amalek. Perhaps in inciting people to racism and hatred, we see Amalek. Perhaps there is a little Amalek in all of us, waiting for its chance to express itself. Like the song in Avenue Q, maybe everyone’s a little bit racist sometimes. Perhaps it is our faith that enables us to keep the Amalek within in check. And surely it can also help us keep the Amalek without, with G”d's help, in check, too. I don’t honestly know if G”d can or will help us in fighting the Amaleks of today and tomorrow, but I do know that recognizing the eternal warning in Torah that G”d will always be at war with Amalek is a warning to us to be vigilant. I know it’s hypocritical of me – I don’t even like the idea of a G”d that is at war with anyone, or a G”d that causes or allows war. I’m not sure I approve of a G”d that, by choosing to give us free will, also allows unspeakable evil to be in our world. Couldn’t there be alternatives? Is partnering with G”d in this eternal effort against Amalek acquiescing, letting G”d off the hook? Should I be fighting to change the very idea that G”d wants or needs to be at war with Amalek? Should I be striving to help create a world that will no longer give rise to Amaleks? That seems like the best route. However, since I don’t know what will work best, perhaps I should cover all my bases. So I’ll end with the same words I did in 2005. May we all strive to be G”d's partner in this unceasing war with Amalek – the Amalek inside and the Amalek outside. May we all strive to create a world, if such a thing is possible, where another Amalek will ever arise. Ah, the difficulties of trying to be unique. I’ve spent the better part of this week laying out the theme for my musing for parashat Bo. Along the way, I have, of course, looked at many other resources. Wouldn’t you know it – today was the day in which the resource I discovered was the musing I had planned to share this week – already written and shared a year ago by another! So rather than attempt to do a better job than they already have, I’ve abandoned that effort, and direct you to the other one. I’ll go off in another direction. Game over. Reset. New topic. So, where’s the “angel of death” to which we refer in the Haggadah, and which has become so associated with the Passover story? The Destroyer, הַמַּשְׁחִ֔ית HaMashkhit. Is this a separate entity, or just another of G”d’s appellations? So which is it? Did G”d do the striking down, or was it through some agency of G”d, some angel, some destroyer? Is this an attempt to whitewash G”d, to protect G”d’s image, and shift the blame for the dirty work to something else? Is it less public relations and more philosophical, trying to portray G”d as creative and not destructive? Is it a put-down of the Egyptians – they’re not worth G”d’s direct effort to destroy their first-born sons, so G”d uses a sub-contractor? Is it an admission of a limitation of G”d, perhaps self-imposed, after the guilt of the flood, S’dom and Gomorrah and other mass killings of human beings by G”d? Was G”d worn out from generating all those other plagues, and G”d needed help with this last one from one of the angels? Is this original text, or a later insertion by folks attempting to deal with the issues I’ve raised above? There’s no shortage of G”d being responsible for human death in the Torah. (There’s also no shortage of humans being responsible for human death, but that’s a discussion for another time.) we haven’t even gotten to Nadav and Avihu, to the thousands killed for being rebellious to Moshe, and so on. Yet somewhere along our historical and religious journey, we’ve grown increasingly uncomfortable with a G”d that acts directly to kill humans. Obviously, by the time the Haggadah took its basic form, we’d decided to embrace the agency of the “angel of death” in the slaying of the first-born. We don’t need no stinking angels of death. Hey G”d. If You created us, it’s Your responsibility to destroy us. No intermediaries, angels, sub-contractors. What? What’s that You say? It was the Egyptians, and not Your chosen people? Gimme a break. If you are the One and only G”d, they are your creations too. They worship other gods, You say? But those are not real gods, so why do You care? To get Your love and protection, they can only believe in You? That sounds like a terrible idea. Yet, according to another religious tradition that worships you, that really is the case – they must believe in You and accept You as a personal savior in order to be redeemed. Come to think of it, in a way, that particular faith tradition is sort of using a sub-contractor as an intermediary. Yes, yes, I get that Your creations are individuals, free-thinking, with free will, and that many different paths to You are possible. You, G”d, are HaMashschit. Own up to it. You’d stand a better chance of getting us to own up to our imperfections if You’d own up to Yours. You want sub-contractors, hire us to do all the work. What’s that? You say that’s exactly what You want us to figure out – that we’re Your sub-contractors. If that’s the case, better we should be the creative sub-contractors than the destructive ones, right? and now, on to a new story for this Shabbat Va’era. Speak these words: Thus said the Lord GOD: I am going to deal with you, O Pharaoh king of Egypt, Mighty monster, sprawling in your channels, Who said, My Nile is my own; I made it for myself. I will put hooks in your jaws, And make the fish of your channels Cling to your scales; I will haul you up from your channels, With all the fish of your channels Clinging to your scales. And I will fling you into the desert, With all the fish of your channels. You shall be left lying in the open, Ungathered and unburied: I have given you as food To the beasts of the earth And the birds of the sky. When they grasped you with the hand, you would splinter, And wound all their shoulders, And when they leaned on you, you would break, And make all their loins unsteady. I’m going to take these words completely out of their context, and not feel the least bit troubled by that. We have, in our country today, a man serving as President who seems as fond of boasting as the Pharaoh of which Ezekiel was speaking. Only he can do it. I made this happen. I made that happen. I alone. I am making America great again. These words ring as hollow as Pharaoh’s boasts are made to seem by the ancient prophet. We can only hope and pray that G”d will treat today’s President as Ezekiel was proclaiming that G”d would treat that ancient Pharaoh. Pharaoh’s people weren’t able to stop him, surely through less fault than our own, and still G”d punished the masses for the faults of their ruler. As I stated, I don’t like a G”d who behaves like that (and neither did Avraham) and I’m not excusing it. I’m engaging in rhetorical technique, I suppose. Our prophets were masters of the genre, so why should we still not use it? (Ah, but I hear year cry “our own President uses these techniques to his own advantages and two wrongs do not a right make.”) Well content matters. Hitler may have used rhetorical technique, but so did Gandhi, MLK, JFK, and so many other great leaders. We heard Oprah use it to great effect the other day at the Golden Globe awards. The meaning and intent behind the rhetoric matters. When the rhetoric is meant to hurt, cause harm, it is an improper use. Our ancient prophets weren’t always so much trying to predict the future as use their predictions as a tool to convince people to behave in a different manner so that the dire predictions would not come true. If the Pharaoh being addressed by Ezekiel changed his boastful ways, perhaps these things would not befall Egypt. Never again shall they be the trust of the House of Israel, recalling its guilt in having turned to them. And they shall know that I am the Lord GOD. Perhaps Ezekiel had heard about machinations in Egypt, perhaps he had heard unkind and unflattering comments about Pharaoh Apries. All this context, but I’m not sure how much it matters. The point is that Ezekiel, who devoted six sections of his book to prophecies against Egypt, was calling Pharaoh Apries on the carpet for being boastful. I’m calling our current President on the carpet for the same thing. It shall be the lowliest of all the kingdoms, and shall not lord it over the nations again. I will reduce the Egyptians, so that they shall have no dominion over the nations. Are we in danger of becoming the lowliest of nations? I certainly fear that is possible. Already respect for our country has declined worldwide. The children are listening, DJT. They will see, and they will learn. Sadly, due to the things you say and do, our children, our world will all be poorer and the worse off for it. My country is my own, I made it for myself. If those are your thoughts, POTUS, consider what happened to others as boastful throughout history. I go through periods when my mystic side is more palatable to me, and I let it show. I am open to possibilities that can disregard logic. At other times, I will staunchly affirm that science and religion should not be mixed, that one cannot be used to explain the other. Then there are yet other times when my position is more in the middle, allowing science and religion to inform each other. To paraphrase Mordecai Kaplan, in science, religion gets a vote but not a veto. I can’t, however, bring myself to posit the opposite. In religion, I believe, science sometimes does get the veto. There are limits to my willingness to endorse religious concepts that are in clear violation of scientific principles and knowledge. Some things simply cannot be, no matter how willing I am to suspend my disbelief. I am schooled in science, math, and logic. I am also schooled in theology and religion. I simply cannot escape finding a way to make room in my life for all of them. I cannot pretend that there is no point of intersection between science and religion. I also recognize that if science ever answers all the questions in our universe, it will no longer have any purpose. G”d forbid that we ever find ourselves without a need for science! "The Jew sings logic and prays metaphysics." The Reformers sought to infuse Jewish prayer and ritual with the same logic that the Hatam Sofer said that Jews sing, or at the very least, modify it in light of the logic of modern science. They have succeeded, to some degree. Yet, through it all, the views of the Hatam Sofer held. Try as they might, the reformers could not excise for the siddur everything that was in seeming contradiction to modern science. Room had to be left for faith, mystery and metaphysics. So much of the mystery had been stripped away that today's Reform movement is struggling to recapture some of the baby that got thrown out with the bathwater. We've already been told, in verse 2, that the bush is not consumed by its own flame. Yet Moshe repeats this in his question. Here is the "logical" song of the Jew. It is not logical, even by scientific understanding in Moshe's time, that a bush could burn and not be consumed by its own flames. "Who am I that I should go to Pharaoh and free the Israelites from Egypt?" "I will be with you..."
OK. Moshe buys that and moves on. "but what if they don't believe me ands don't listen to me?" Then, just to be sure Moshe got it, G”d gives him the "Snow White leprosy hand" demo as well. Another cheap parlor trick. If that isn't enough, says G"d, then use this "water into blood" trick. I don't know the context of Zunz's quote of the Hatam Sofer, so I don't know if he's agreeing or disagreeing with the premise. 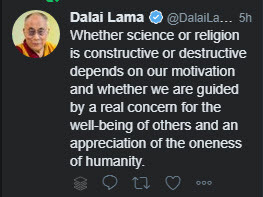 I'd like to think that he was, to some degree, agreeing that what we pray is often inconsistent with what we believe is scientifically possible. The question becomes, is this good thing or a bad thing, this inconsistency. I think you already know my position before I even state it. Yes, I favor the inconsistency. It doesn't bother me one iota to pray over miracles, unexplainable phenomena, items of faith that my logical side argues cannot be. I love wearing the faith and scholarship hats. I love teaching the "Faith and Science" class. They are not wholly incompatible. They may be "apples and oranges" and I agree that one cannot be used to prove or disprove the other. Theoretically, an apple/orange hybrid is possible, though genetically difficult to engineer. I think I've had this tendency to blend science and metaphysics since childhood. I remember one year my elementary school science fair entry, inspired, I think, by just having read "The Effect of Gamma Rays on Man in the Moon Marigolds" (which really has nothing to do with any of this). Under relatively controlled conditions, I subjected seedlings to classical music, rock music and no music, my theory being that the relaxing classical music would cause those seedlings to thrive better than the others. (Like any good scientist, I manipulated the data so my premise was demonstrated in the results.) It wasn't a matter of pure science. I wasn't examining the differences in frequencies and amplitude. I just thought that the seedling might, in some metaphysical way, like the classical music better. Much as the water photographs of Dr. Masaru Emoto were used in "What the Bleep..." as a similar example. Hmmm. Is one allowed to go down the rabbit hole on Shabbat?